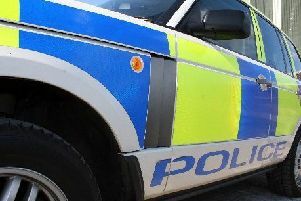 Here is your weekly round-up of crime across Midlothian, as reported by Police Scotland. On March 5, funded MCAT officers on patrol in the area of Kippielaw Park, Mayfield, recovered a small quantity of cannabis in the possession of a 36 year old male. The male was charged, and reported to the Procurator Fiscal. On March 7, officers on patrol in the area of Hardengreen, Dalkeith, attended the report of a Theft Shoplifting at Tesco. On attendance, a 41 year old female was found to be acting in a threatening and abusive manner. The female was charged in relation to both incidents, and reported to the Procurator Fiscal. On March 7, officers on patrol in the area of High Street, Dalkeith, attended the report of an ongoing disturbance. On Attendance a 55 year old male was arrested, and charged in relation to this indent. A report has been submitted to the Procurator Fiscal. On March 10, officers on patrol in the area of Abbey Road, Dalkeith, observed a vehicle driving erratically. The vehicle was stopped, and the 28 year old driver found to be without insurance. The vehicle was seized, and the male charged and reported to the Procurator Fiscal. On March 10, officers on patrol in the area of Hardengreen, Dalkeith, recovered a small amount of cannabis in the possession of a 21 year old male. The male was charged and reported to the Procurator Fiscal. On March 10, officers on patrol in the area of Easthouses Road, Dalkeith, apprehended a male wanted on an outstanding warrant. The male was arrested and held for court on March 11. On March 7, officers searched a property under warrant, in the area of Swan Crescent, Gorebridge. A substantial quantity of stolen property was found within. A 17 year old male was charged and reported to the Procurator Fiscal. On March 8, officers on patrol in the area of Braeside Road North, Gorebridge, attended the report of an ongoing disturbance. On attendance, officers apprehended a 28 year old male in relation to this incident. The male was subsequently charged and reported to the Procurator Fiscal. On March 10, officers on patrol in the area of Braeside Road North, Gorebridge, attended the report of an ongoing disturbance. On attendance, a 28 year old male was identified, and Police are following a positive line of enquiry. On March 5, officers on patrol in the area of Langlaw Road, Mayfield, recovered a small quantity of cannabis in the possession of a 32 year old male. The male was charged, and reported to the Procurator Fiscal. On March 6, officers on patrol in the area of Crawlees Crescent, Mayfield, attended the report of an ongoing disturbance. On attendance, officers apprehended a 34 year old female, and a 13 year old male. The female was subsequently charged and reported to the Procurator Fiscal, and the male charged and reported to the Youth Justice Officer. On March 8, officers on patrol in the area of Rowantree Road, Mayfield, recovered a small quantity of cannabis in the possession of three 15 year old and 14 year old males. The males were charged and reported to the Youth Justice Officer. On March 9, officers on patrol in the area of Bevan Road, Mayfield, found a 38 year old male to be in breach of his bail conditions. The male was arrested and held to appear at court on March 11. On March 5, officers on patrol in the area of Bellwood Road, Penicuik, attended the report of an ongoing disturbance. On attendance, officers apprehended a 36 year old male in relation to the incident. The male was subsequently charged and reported to the Procurator Fiscal. 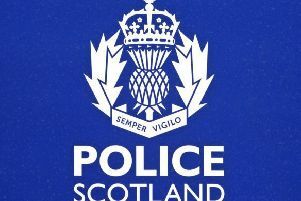 On March 6, officers on patrol in the area of Edinburgh Road, Penicuik, attended the report of an assault. On attendance, a 13 year old female was identified, and Police are following a positive line of enquiry. On March 7, officers on patrol in the area of Bog Road, Penicuik, attended the report of an ongoing disturbance. On attendance, officers apprehended a 46 year old female in relation to this incident. The female was subsequently charged and reported to the Procurator Fiscal. On March 8, officers on patrol in the area of Edinburgh Road, Penicuik, observed a vehicle driving erratically. The vehicle was stopped, and the 20 year old male driver found to be without insurance. The male was charged and reported to the Procurator Fiscal. On March 7, officers on patrol in the area of Pendreich Drive, Bonnyrigg, observed a vehicle driving erratically. The vehicle was stopped, and the 35 year old female driver found to be without insurance. The vehicle was seized, and the female charged and reported to the Procurator Fiscal. On March 10, funded MCAT officers on patrol in the area of Dickson Grove, Bonnyrigg, recovered a small quantity of cannabis in the possession of a 15 year old male. The male was charged and reported to the Youth Justice Officer.